CBD Topicals for a natural low-contact way to nourish sensitive skin and can be easily applied to the skin to enjoy CBD in a non-vaping way. These products are potentially perfect for all stripes of CBD enthusiasts. 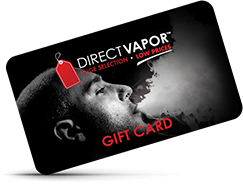 When you order with Direct Vapor you'll be able to enjoy a variety of convenient topical CBD products backed by our low price, high-quality guarantee!